Are you a balloon? Or are you a brick? It is a weird question, I know, but I am weird so this question seems normal to me. It is question that I find myself asking frequently. I believe that it is a question that you need to ask yourself as well. I am hoping that you take a couple of minutes to read my thoughts and take some time to self-examine yourself, your actions and your words. If you do, you might just find the answer to the question. So, are you a balloon or a brick? A balloon, in its simplest state, is a brightly colored rubber item that is filled with air or helium and sealed at the neck. It is used as a child’s toy or a decoration. It brings joy and a smile to face of a child and it can provide hours upon hours of enjoyment. It expresses love, gratitude, appreciation, celebration, happiness and positivity. A balloon in it grandest form is a hot-air balloon. 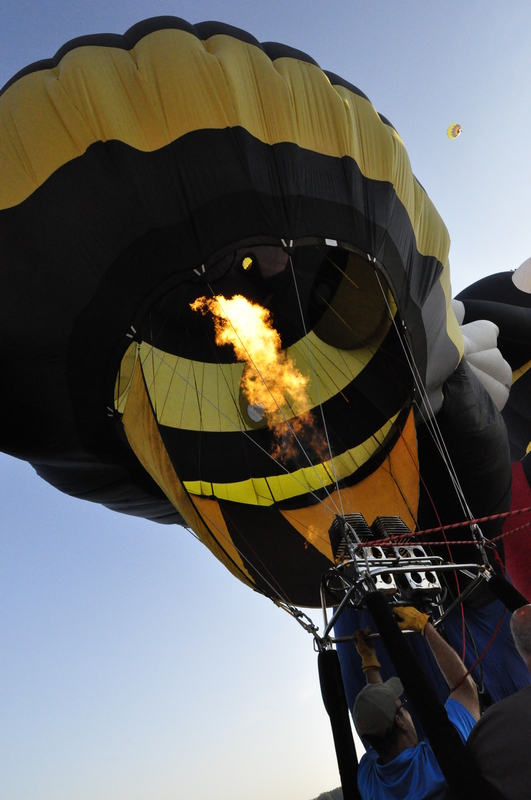 A balloon so large and spectacular that you can attach a basket to it and rise to the sky. It can transport you from your current place to a new, better place. It can take you places that you have never gone before and places that you could only imagine. faces of others. Your presence exudes happiness, gratitude, love and positivity. People who attach themselves to you are taken to new heights. They are uplifted and encouraged. You help others soar and you do not keep them grounded. A brick is a rectangular block of sun-dried clay or cement. It is used in building. It heavy and its weight helps to hold things down. There is very little exciting or uplifting about a brick. So if you, as a person, are a brick you are holding people down. Your presence is a weight that they cannot bear. Your negative words and actions destroy others’ confidence and will. You keep them from reaching new heights and new places. Your negativity slows them down. A brick shatters glass when thrown and you shatter dreams by telling people what they aren’t or what they cannot do. Does this make any sense? Maybe it only works in my brain. All I know is that life would be easier if you tied me to a bouquet of balloons versus a bag of bricks. The more balloons I have in my life the farther I will go. Many bricks will slow me down and keep me from reaching my desired destination. So, are you a balloon or a brick? Do you lift people up and encourage them or do you continually break them down and hold them back? Your daily actions and words are more powerful than you realize. You may be a brick and not even know it. That is why I encourage you to ask the question. Now, I want to warn you of one thing. Some may answer the question by saying that you act as both depending on the day and situation. That my friends won’t work. You either have to be a balloon or a brick. You cannot be in the middle. Let me tell you why. Your friends, family and those in your communities need to be able to count on you. They need to know that you are a balloon that they can attach themselves to when life is falling apart and they are sinking. They need to be able to rely on you for uplifting support and encouragement. If they think you are balloon and they attach themselves to you, but on that day you are acting like a brick, you are going to make them sink faster. You cannot afford to go back and forth. You must be one or the other. For me, I strive to be a balloon, but I know that some days I am a brick. I have a lot of work to do. Our world needs more balloons. Regardless of where you are today, you can change for the good. Let’s do it together. 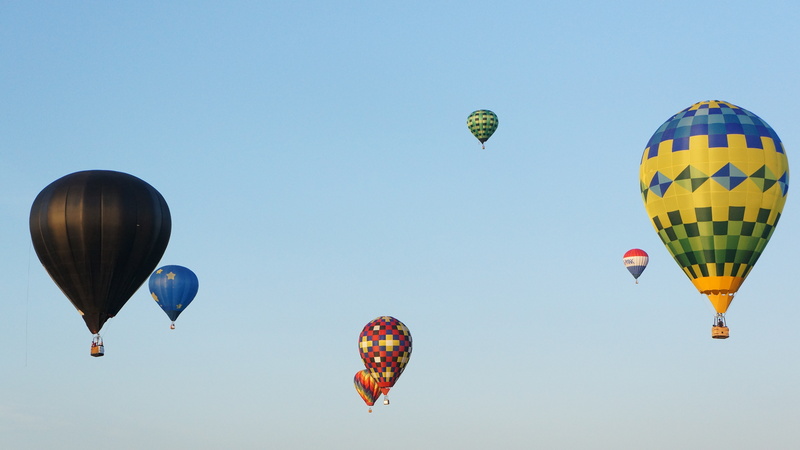 Lets be balloons and lift others to new heights. Next postWhat Do YOU Love About YOU? Thanks for this post and thanks for this movement. Please keep it up! Thanks Cheri! I appreciate your thoughts and I agree that we need to have people in our lives that keep us grounded. It is definitely important that we do not drift aimlessly. I believe that the balloons in our life are also capable of doing that for us because they are encouraging and supporting by nature. They approach accountability the right way and keep us grounded without destroying us. I am more apt to take hard advice from someone who consistently supports and speaks life into me. These are just my thoughts. There is no perfect analogy I guess. Thanks again for the note. I appreciate you and the support you provide. I always hope my post provoke thought. Your note provoked thought for myself. And for that I say thank you.